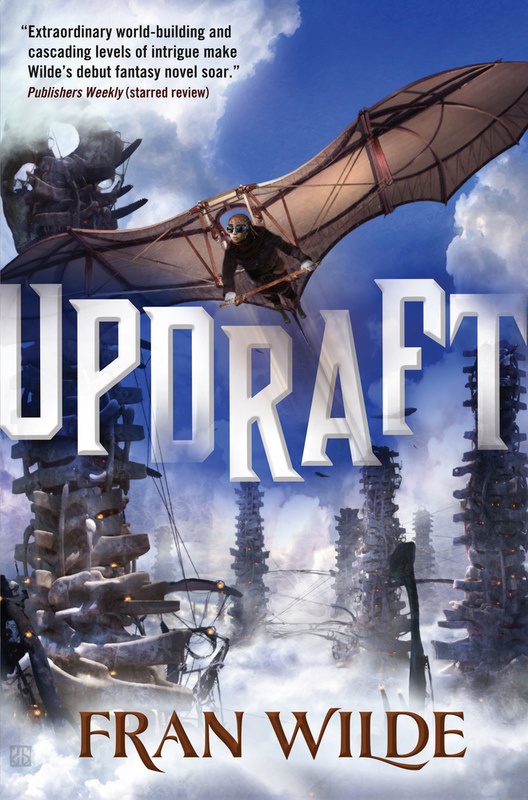 BCS author Fran Wilde’s fantasy novel Updraft, out on Sept. 1, is set in the same world as her new story in BCS #181, “Bent the Wing, Dark the Cloud” (also podcast BCS 157). In conjunction with BCS #181 (and its author interview with Fran about “Bent the Wing” and Updraft), BCS is giving away a copy of Updraft! To enter, comment on this post and tell us your favorite BCS story that has anything to do with characters flying. The characters in “Bent the Wing, Dark the Cloud” and Updraft fly through their cloud-top world on wings built of silk and bone. Tell us your favorite BCS story that has anything to do with characters flying, whether on their own, using wings, in airships, anything. You must leave your comment on this Updraft Giveaway post. Comments left anywhere else will not enter you in the giveaway. You must mention a story published in BCS that has something to do with flying. Comments that do not mention a story published in BCS that arguably has something to do with flying will not enter you in the giveaway. You must post your comment before midnight PST on Wed. Sept. 9. Any comments posted after that will not be eligible. BCS will conduct the random drawing from all eligible entries. The copy of Updraft will be mailed from the publisher to the winner.